STAINLESS STEEL & LARGE CUP CONTAINER: Our blades are made of the highest quality stainless steel while the convenient large cup container captures all foods that are chopped. High quality blades quickly deskin the garlic and onions in seconds. EASY TO CLEAN: Our slicer easily pops open like a butterfly for easy access while cleaning. Cleaning becomes as easy as three simple steps: Remove base, remove cup, and pop open like a butterfly. 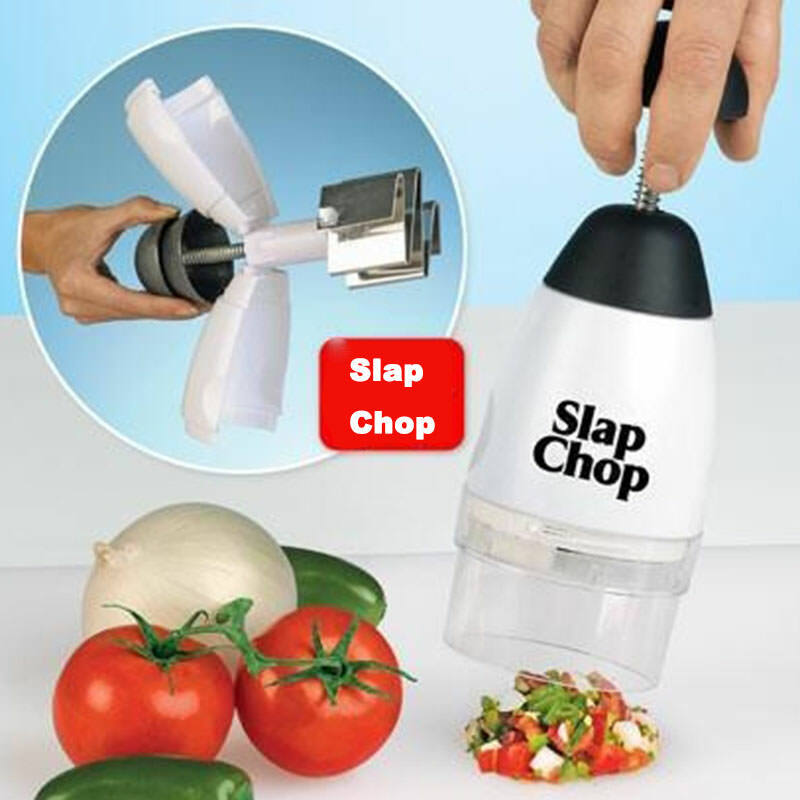 PERFECT FOR ALL KINDS OF FOOD: With just one slap you have big chunks and the more you slap the finer it gets. It’s the perfect way for making salad, pizza toppings, exciting tuna, breakfast to go, nuts and cookies for ice cream toppings, fruit salad, and many more foods. 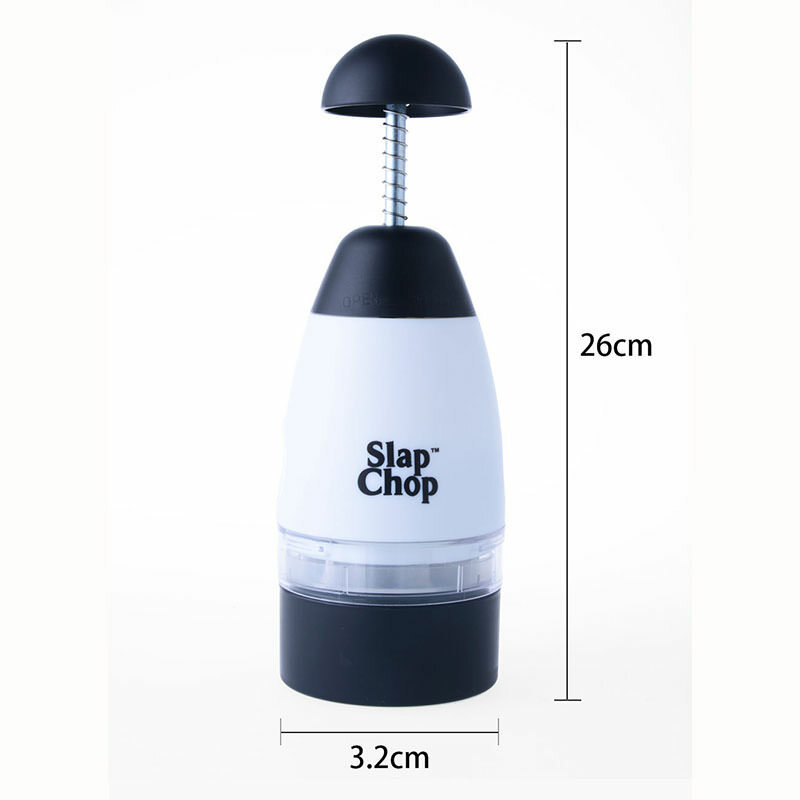 PERFECT FOR CHOPPING: It is the perfect chopper to mince and chop a variety of ingredients for easy meal preparation or final touches. It’s easy to push-down handle allows for quick chops with almost no effort. All orders come with original packaging. the box will be damaged. Please kindly cut into small pieces and chop.